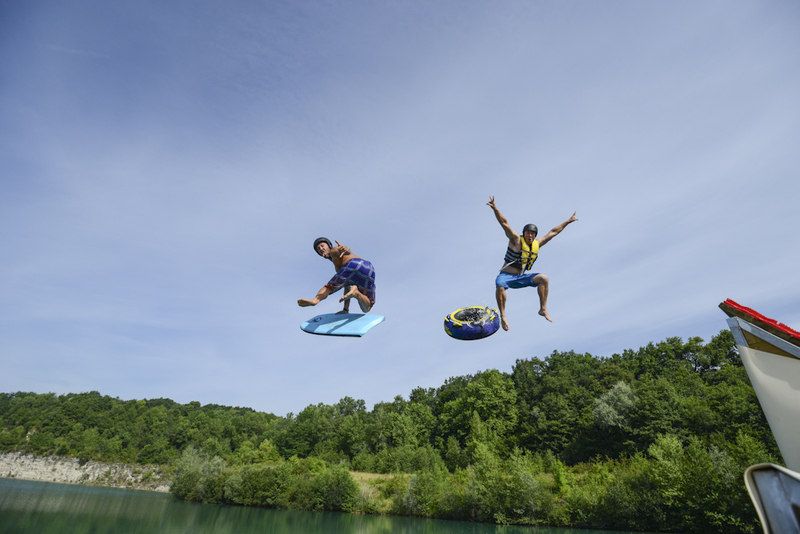 On a natural lake, Base de Pop offers water thrills galore. 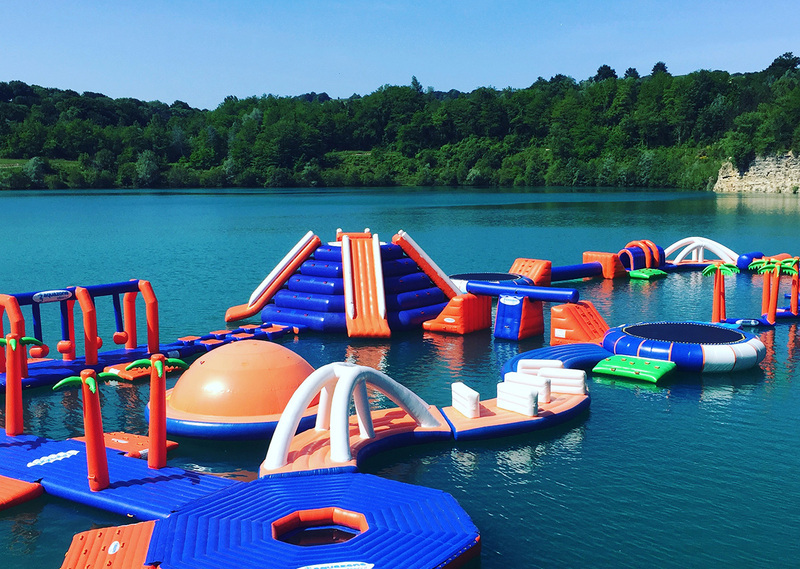 Fun for the whole family, this attraction allows you to enjoy the water on inflatable donuts, bodyboards, toboggans, bikes, floating trampoline, and other options. The swimming area is supervised, with lifeguards in attendance during the warmer months. The sandy area around the water is ideal for resting and building castles. Onsite rental of kayaks, paddleboards, and other equipment is available. You must know how to swim and be at least 8 years old to enjoy this attraction. Use our Guiche trip planning app to add Base de Pop and other attractions to your Guiche vacation plans. We had to swim in the Lake. My comment is therefore not based on hobbies. The 'Beach' is not very well maintained, textile at the bottom of the water is torn in many places and form of the fat rolls on the ground. Many pebbles are troublesome for the market in the murky water. Supervised swimming area is very small and makes it impossible to swim. In short, better is worth to go to the beach. An incredible place and different to spend the day in fun and good company. The facilities and staff are highly skilled. 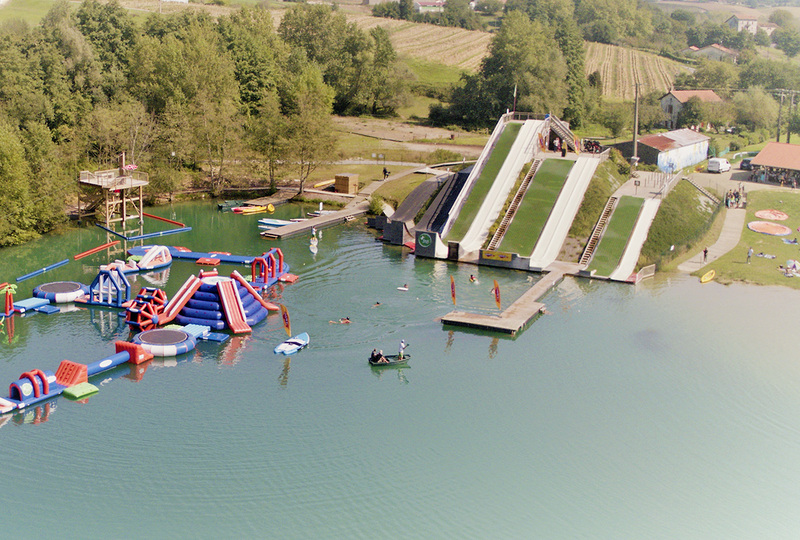 Actually an activity to high dose of adrenaline for the slides to jump. And physics for inflatables. Take the combo and a good break between 2. We started with the structures and it is in this sense after the jumps not bad bobo (but harmless). Equipment at the top and great coaching. The bar is very good also. You can't escape the bass at Le Base de Pop. Great family day out. Very clean. Excellent place for a fun day out with the kids. Friendly and helpful staff. You could swim in, and picnic beside, the lake, for free. For €35 each the kids got access to everything all day - bouncy castle course, several fantastic looking slides, zip line. Even BMX bikes you could ride down jumps into the lake. There were basic toilets, a cafe, paddle board hire. You could swim in or float on the lake. There was also a cliff where people could jump from. Bring a parasol as there's not much shade. It was very busy but not much queuing, and everyone looked like they were happy or having fun. Fresh water "lake" maybe an old quarry, with lots of little fishes. Loved this experience, never done anything like it amazing afternoon, all staff friendly and well organised. Every day, we help thousands of travelers plan great vacations. Here are some tips on how to use your Listing Page to attract more travelers to your business - Base de Pop. Promote your permanent link - https://www.inspirock.com/france/guiche/base-de-pop-a1321985591 - on your website, your blog, and social media. When a traveler builds a plan from this page, the itinerary automatically includes Base de Pop. This is a great way for travelers looking for a great vacation in your city or country to also experience Base de Pop. Promoting your link also lets your audience know that you are featured on a rapidly growing travel site. In addition, the more this page is used, the more we will promote Base de Pop to other Inspirock users. For best results, use the customized Trip Planning Widget for Base de Pop on your website. It has all the advantages mentioned above, plus users to your site can conveniently access it directly on your site. Visitors to your site will appreciate you offering them help with planning their vacation. Setting this up takes just a few minutes - Click here for instructions.